Spring and early summer is a busy season for those looking to invest in property. The market is flooded after the post-winter real estate break and the yards look great as Mother Nature waxes her green thumb. Searching for your ideal future home can be a long, arduous process that involves attending open houses, scheduling viewings and repeatedly checking the online listings for newly posted homes in the hopes that your dream home was posted overnight. I’m a sucker for crown molding. I think the painted wooden trim adds depth and character to a room. It can highlight the color of an accent wall or draw your eyesight up, making the room appear larger. If a house doesn’t have it, will that prevent me from buying it? Probably not. It’s not nearly as important as having a bathroom with a functional toilet, a kitchen inside the home or, for instance, a front door. Don’t laugh. True story. The same goes for dating. Know what it is you need from a partner before you enter the market. If it helps, make a list of the qualities in a partner that matter the most to you. Then, separate your “deal breakers” from your “ideals.” Deal breakers are traits that are non-negotiable, like finding a partner who wants children or is of the same religion. Ideals are more about the attributes or traits that you find appealing in a partner, such as ambition, a good sense of humor and blue eyes. By prioritizing which qualities are important and which are ideal, you’ll discover what you’re absolutely unwilling to compromise and where you’ve got some flexibility. 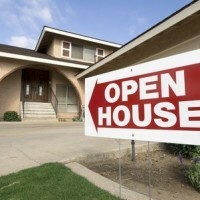 Simply driving around your neighborhood or your ideal dwelling location will reveal several signs with tied Mylar balloons, promoting an open house. You don’t have to be working with an agent to get the guided VIP tour of a home looking its best. While the house may not advance to your short list of potential homes, there’s usually some take away idea, feature or design concept that will help you solidify your vision. Being single is an exciting time in our lives. It’s the chance to learn more about yourself, to understand what you are looking for in another person and what you need from a relationship. This is your chance to meet everyone you want and learn everything you can. While not everyone will advance to your shortlist of potentials, each exciting encounter will help solidify your ideal match. Often times, people shop for comparable places in regards to square footage or location. What looks like the ideal investment right now becomes an awkward living situation as the family unit grows, changes or nears retirement. Daters are faced with the same questions. Sometimes a relationship can start off hot and heavy, but later you find you may not be the ideal person for one another. It may be fun at first, but do you see yourself growing with this person? Is this going anywhere? Do I want it to? Tough questions. There are the few homes available for dirt cheap prices, in a great neighborhood and with the perfect square footage. All you need to do is make a few little repairs, like the plumbing, foundation and electrical wiring. To name a few. Daters should never take on the “fixer-upper” romantic relationships. Perhaps there are several positive qualities about them, but there are those one or two little things that could use a bit of repair. Your best bet is to accept them for who they are and decide if you are willing to deal with the issues for the long haul. When house hunting, there are three key ingredients: location, price and size. The problem: you can only have two of the three. Which two are the most important? Is it more important for you to live close to work? Or are you willing to live a bit further out if the price and size is worth it? After working with tens of thousands of clients over the years, there is one piece of advice that makes the biggest difference as to whether people are successful at dating or not: Get out of your comfort zone! This doesn’t mean letting go of your deal breakers. Everyone has preferences. What it means is that they can be limiting. If they are too rigid, we eliminate the ability to explore new people, experiences or situations. When it comes down to it, buying a house and dating is really about finding your ideal match that will warm your heart for years to come. The more time you spend in the shopping phase, the more your investment will pay off.